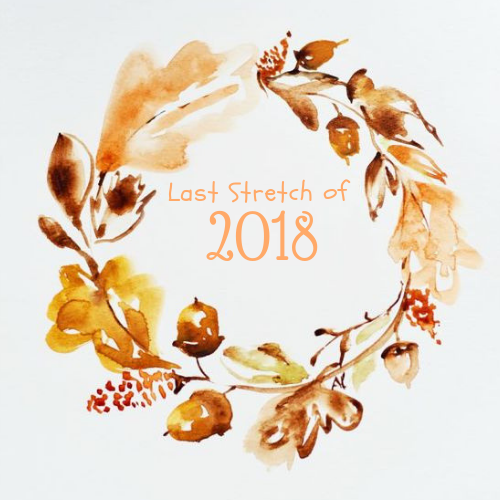 Having being blogging for over 2 years and not getting anywhere with it really I had decided that I might as well use it as a journal. But this all changed when one of my co-workers started talking about creating a blog and my thoughts. Having her do this got my back to the idea of blogging and creating, putting my thoughts out there. Many thanks to Jen for inspiring me to re start blogging. I also want to thank her for the insight of the magic of Twitter and how much Twitter can help small bloggers. Ok so lets talk about what is this award all about ? 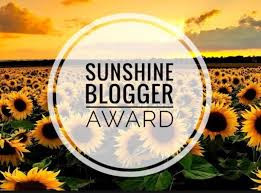 The Sunshine Blogger Award is a way for like-minded bloggers to get to know each other. This group of bloggers are positive, creative and inspiring. I am so glad to be part of this group of bloggers and people. 1. What fictional place would you most like to go to ? A. I would LOVE to go to the Wizarding World of Harry Potter, like why can magic be real. 2. What is your favorite beverage ? 3. What animal would be the cutest if scaled down to the size of a cat ? 4. I your job gave you a surprise three day paid break to rest and recuperate what would you do with those three days ? A. I would take one day to sleep until noon, get up go get my hair done, nails done and a pedicure and get a massage. Day two would be getting up mid morning hitting the gym, getting ready and going shopping. The third day I would go to the gym again, get a facial and go on a fancy supper date. 5. What movie can you watch over and over without ever getting tired of ? A. MMM... this is tough but The Theory of Everything, Harry Potter movies, Fantastic Beasts, A Walk to Remember and the Great Gatsby. 6. What social stigma does society need to get over ? A. Basically everything but women bodies and weight. 7. What food have you never eaten but would really like to try ? A. I honestly don't know. 8. What is your favourite novel/book ? 9. What makes you roll your eyes every time you hear it ? 10. What's your cure for hiccups ? 11. What mythical creature do you wish actually existed ? 1. The best thing that has happened to you this week? 2. How would you spend ten thousand dollars ? 4. If you had to describe yourself using only three words what would they be ? 5.If your life was a novel, what would the title be ? 6. Do you talk to yourself? 7. How long does it take for you to get ready ? 8. Whats your zodiac sign ? 9. How many pairs of shoes do you own ? 11. What is a belief that you hold with which many people disagree?